Ukrainian President Petro Poroshenko says the implementation of the law on special order of self-governance in certain areas of Donbas directly depends on Russia's compliance with its requirements. "The possibility of implementing the law on special order of local self-governance in certain areas is strictly conditioned by a number of requirements to Russia as an aggressor and the occupier and to its puppet regimes. 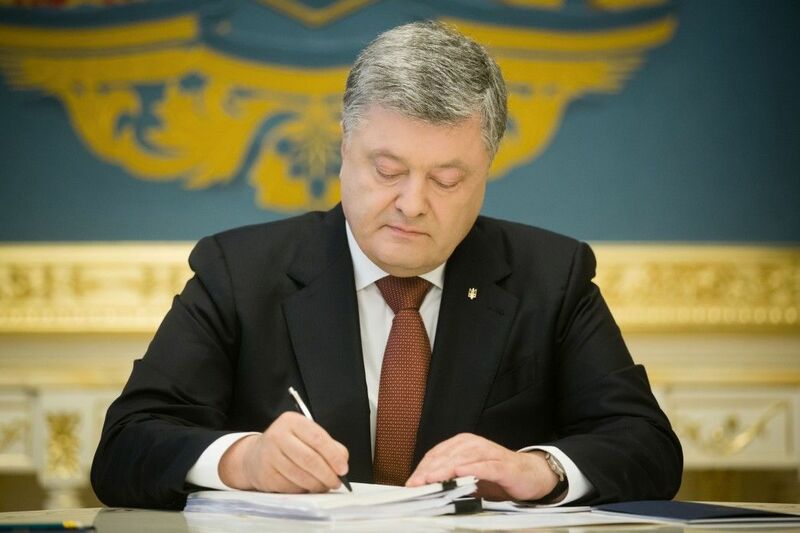 First of all, these are commitments to withdraw Russian troops, illegal armed formations, military equipment from Ukrainian territory, and the norm on the compliance of political processes with OSCE standards," Poroshenko wrote on Facebook. Read alsoKremlin not happy about Ukraine's new bill calling Russia "aggressor state"At the same time, the reputation of Ukraine as a state that abides by the Minsk agreements with responsibility allows the repeated extension of sanctions against Russia as the country that violates the agreements, the president says. "Since the sanctions largely deter the aggressor," Poroshenko added. As UNIAN reported earlier, Ukraine's Verkhovna Rada on October 6 backed bill No. 7163 on Donbas reintegration and the recognition of Russia as an aggressor state, which was submitted by the president. On the same day, the Ukrainian parliament passed another presidential bill No. 7164 that extends the law on special status of Donbas. The latter suggests the introduction of the special status in a year after the law becomes effective.